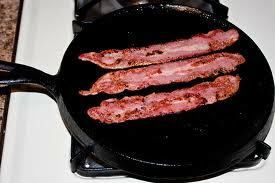 It has been 100 and over for a few days and I'm telling you I feel just like this bacon when I go outside. My co-workers....well they are having a different experience all together. After being at camp all day in the 100+ weather, they wanted to go back and run the obsitcal course a few more times. I was just standing watching them and I was puring sweat. I had to leave so I took them to an indoor play area at a locak McDonald. Can you believe they played for another hour and a half? I couldn't believe it. I want to be a kid again...LOL. The flamingos don't seem to mind the heat either. They seem mesmerized by the green glass globe. It is almost the 4th of July and you know what that means? yep....I'm going finshin'. If I'm fishin' then you know I'm not shipping orders. I'll be on vacation in PA and I"m hoping and praying to be coming home with an embroidery machine....hooray!!! Orders at IHAN will resume shipping on Monday July 9th. 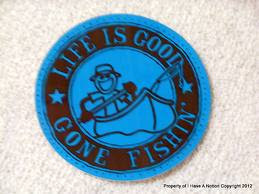 I will be available by phone and e-mail if you need to reach me (I can always put the fishing pole down). Keep your eyes open for a 4th of July Sale at IHAN as well ....more on that soon. I love to share excellent tutorials when I find them and I have a few fun one's to share with all of you. If you have seen them before....wonderful! If not....I'll post the links below for you. For those of you who have been bitten by the Paper Piecing (machine) Bug (that is you Madame Samm! )...you can find a very fun Juice Glass Tutorial at SewMamaSew Blog. CLICK HERE to see it. If you want to make a fabric covered box you'll definitely want to check out the tutorial at Oops-Lah blog. CLICK HERE for that tutorial. And lastly, Kimberly over at Bitty Bits and Pieces blog has an excellent tutorial to make a Scalloped Edge Trivet. CLICK HERE for the tutorial. I have admired these tutorials for quite some time. I've made boxes using artist paper and had a ball making them. I think it is time to make a fabric covered box to store some fun notions or treasures in. The Scalloped Edge Trivet tutorial just so happens to spotlight one of my favorite ruler/template designers, Janet Platt. Janet designed the Quick Points Rulers and now the Scallop Edge Rulers too. She and her husband, Brian, are two people I always enjoy seeing in Houston for Quilt Market. Do you have a favorite tutorial you would like to share with me? Leave the link in your comment so I can have my horizons broadened. I just have to share this with all of you. If it is "common knowledge" and I'm the last to hear...then feel free to giggle till your hearts content. I was chatting with a gal and she told me she is going to use her "Alphabet Dollars" to pay for something that is currently on her quilting wish list. I had no idea what she was talking about, so I asked. It is a way we save money in my guild to shop at shows, etc. The us mint prints $1 bills with alphabets A through L. (I never found out why it stops at L -- if you have a $1 bill take a look on the right-hand side). So we swap and save alphabets of our choice...I save Bs and Gs. B for Bailey; G for GiGi which is what my granddaughters call me. My friends saves Cs for Carrie; another friend saves A's for Annette. I save K's for my granddaughter Kyndall and she puts them in her bank. And we swap with each other too. If Carrie comes across any Bs or Gs, she saves them for me and I just give the total in other cash. So when we head out on a trip or quilt show, we have most of our spending money saved up...It might sound weird, but you would be surprised how quickly they add up and I don't miss them because I immediately put them in a compartment in my wallet and dump then in a bowl at the end of week. Last count was $150 since February. I spend it strictly on quilty stuff. Hopefully you'll forgive this photo....but I wasn't getting dressed up (out of my pj's) to share this fun information. I made this neck wrap on Saturday afternoon and I'm telling you.....it is the best thing since sliced bread. 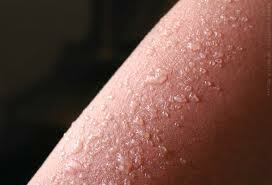 Between hot flashes and hot weather....I am in need of an immediate cooling on occasion (frequent occasion...lol). I took a strip of fabric 62in x 5 1/2" and made tube....flipped it stitched straight lines about every 1 3/4 inches to make long pockets. In each pocket I put some Soil Moist. You can get this or something like it at your local garden supply. How much did I add...I didn't measure. I found this little cap sitting on my sewing table so I used it. I'd say error on the side of caution and use only a teaspoon or so in each compartment. After soaking it in water it swelled and swelled and swelled. That is why it is important not to over-do the Soil Moist....that stuff really takes on the water!!! Then I put it in the fridge and I've been running back and forth to the fridge all weekend. I didn't invent this idea....it is used by many folks and I learned about it from a friend who was making them for the folks in our Armed Forces. Previously I had only made a single section flatter version....this time I made the "King Kooler" because it has been very hot here in OH and also in my personal experience as well (you know what I'm talking about). I have heard that you should not put these in the freezer....just thought you might want to know. Today I"m going to make a few more, another for myself and a few for the boys. They are at Cub Scout Camp all week and I know they'll love having one of these to pull out of their lunch sacks when they get hot. Random number dot org generated number 6. The winner of the magazines is SewCalGal! Congratulations SewCalGal...please send me your address and I'll ship the magazines out to you. Thank you Northridge Publishers for allowing me to review a few of your magazines and Thanks You for offering all IHAN blog readers a 30% discount on your magazines too! If you didn't read about that special offer...click here....definitely a real nice discount! I blogged about it in THIS POST. I absolutely loved making it and when it was finished....I found it difficult to send off for donation. But I did it...and guess what? It is finally up for auction. CLICK HERE to see the auction. This quilt / wall hanging is by Kelly Jackson of the Black Swamp Quilters Guild in Ohio. Kelly says, "When I heard about making quilts from the fabrics that other women had made clothing from I was intrigued...I agreed to be a part of the process. 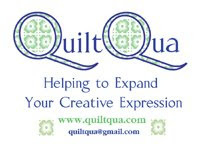 Quilters in the US could agree to make a quilt from these ladies lovely creations and then the quilts could be auctioned and the money could would go back to support those women...Women helping women...a wonderful solution to show the connectedness of women across cultures and countries." 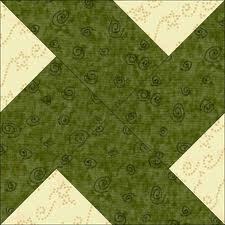 This pattern is originally by Terrie Kralik of Mosse Country Quilts in Bonners Ferry, ID. The circle symbolizes "our connectedness to one another and is reverently dedicated to the spirit of women." Quilt measure 48" x 46". Wendy Jenkins, another guild member also has her beautiful quilt up for auction. You can CLICK HERE to see her auction. My quilt top was finished at the Lake House when I went for retreat with my girlfriends in 2011. I have such fond feelings for this quilt. I sure do hope the new owner will love it as much as I do....LOL. Isn't that terrible? I guess it feels like a piece of me is out there and up for bid. Have you ever donated your work for auction? Did you get to find out who bought it and where it went? "Passing The Sacred Orb" feels like a part of my family and I want to know where she'll go. The money raised from these quilts go to support the social development programs for women and children in Mumbi, India. If any of you saw Oprah's program, The Women of India, you'll know the money is going to a very good cause. I saw the program when it aired here in OH and I learned a great deal about a place I've never been. My father lived in India and my nephew went for 3 months...perhaps some day I'll get to travel to India as well. I was fortunate enough to receive "Simply handmade sewing" and" Bead trends" from Northridge Publishing . You know I loved the change purse on the cover of "handmade sewing"....tell me it isn't way too much fun...see you can't do it can you! LOL These little magazines...literally smallish...8in x 8 in...are perfect for the modern sewists and others who are need to be enticed into fun sewing and beading projects. 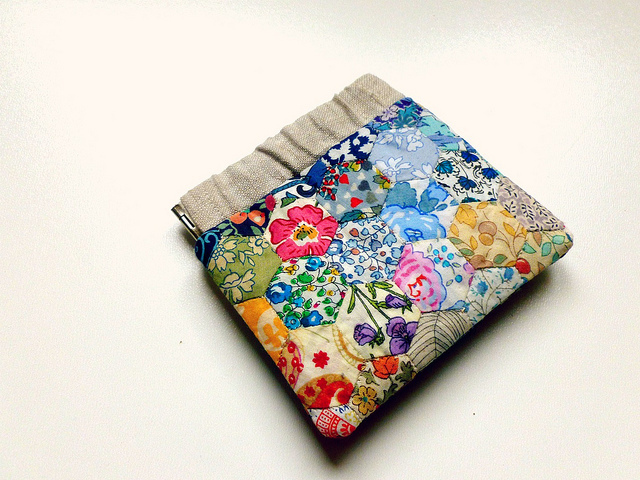 "handmade sewing" featured a linen zipper pouch by Jessie Keating . Talk about serendipitous timing...I just published a tutorial on English Paper Pieced Hexagons. For all of you who were asking what else can be done with hexies....here is another very fetching zippered pouch. The magazine has beautiful photos that coordinate with their written instructions. Templates are also included. See how nice the photos are? Each project featured in handmade sewing have photos like these and wonderful written instructions as well...oh and templates too! There are lots of projects that re-purpose or up-cycle which is very enticing for me! I'm all about re-using and re-purposing. Some of the featured-fun includes hand embroidery, applique, and wool felt. I think there is something that would appeal to all age groups in this great issue. I also enjoyed reviewing "Bead trends." Below is a photo of one of the projects that grabbed my attention. Amanda used found items and a copper pipe to make this beautiful kaleidoscope. I just love it...how fun! You can see me sitting and looking through that can't you? Yep....it is right up my alley. I can see my boys carrying one in their pockets too....just in case they run across something fun to gaze at through the kaleidoscope. This issue of "Bead trend" features many different styles of necklaces, earrings, bracelets and hair embellishments. Each has written instructions next to the photo of the project. The featured article is "Jewel School" which includes photos and instructions. Just for the record....I was not paid to write this review. I did receive the magazines for free and I'll be giving them to one very lucky IHAN blog follower :) Just leave a comment on this post telling me why these magazines appeal to you and you could be the lucky recipient. I'll draw a random winner ....oh say...sometime this weekend. If you would like to subscribe to any of the Northridge Magazines....I have it on good authority that if you mention this IHAN blog post you'll receive a 30% discount! Just e-mail Debbie at debbie@northridgepublishing.com I think that is very generous, don't you? I'm not sure if it is my computer or what it is...but the video keeps stopping. Does anyone know why? While driving to the Post Office to ship international packages, I stopped and took notice of what the Flamingos were doing. They are all gathered under a tree and they are planting some very pretty flowers. Make dinner, find the boys baseball uniforms and fill water bottles, run down and pack orders to be shipped out the following day....gather the troops and head to the boys baseball games....yes, both had games at the same time on two different fields. I spent the evening walking between each boys game. I forgot my camera when I walked down to Aaron's game so I didn't snap a pix of him playing. After baseball, come home feed the boys their second dinner of the evening. Yes, they eat light between 10am and 7pm and then they eat the rest of the evening...they are funny like that. Both Aaron and I were marveling at the beautiful evening sky. 9:30 -10:00 get cleaned up and ready for bed....and then I have the choice to sit down and write a blog post or just relax....that night...I chose to relax....ahhhhh. Thursday was full of much the same except Thursday night Waldo and I headed to Bowling Green for our guild meeting. Denise, a guild member, had made this smock last year. The challenge was to re-design one of those smocks worn for mammograms. I laughed and laughed....I love her smock. How could you not laugh if you walked in for your mammogram and that was the smock you were handed? Thank you Denise for the laughter. The program that evening was wonderful too....which had nothing to do with this smock by the way. Aaron's agenda was to make his Daddy some brownies for his birthday. Without any help ....he did everything except put the batter into a pan and turn the oven on. I never even asked or checked if he followed the directions....I figured it was his gift to his Daddy....I'd just put it in the oven. Then pack orders, answer e-mails and wrap orders for shipping before the mail man arrives. Then off to get Daddy some birthday gifts. Where do the boys want to shop? Garage sales...where else. How could I say no that that one. While on our journey we walked past some beautiful flowers and some lovely homes. Aaron carried his wallet in his hand while Zachary walked around with a gallon size zip lock bag filled with his change and a few dollars. A real site for sure! The boys were given a few free treasures from a few of the folks having garage sales yesterday. You are looking at all the treasures the boys purchased for their Daddy for his birthday. They were so proud and gave each gift with such joy. Rick was beaming with joy as he received each gift too....oh is was fun to see. He did indeed need a new golf ball retriever thingie so that was a real find at $1.00. Zach chose the wooden mask and the bobble head pen for Dad's desk at work. Aaron found the mini Tabasco bottles and though his Dad would just love them and the skeleton too. The real gem was the putting thing that you plug in and put your golf ball into. If you make it in...the ball pops back out at you so you can put again. Aaron asked the man if he would take 50cents instead of a dollar....it was hysterical watching him doing his wheeling and dealing. Think of all the fun we would have missed had we gone to the mall and bought a shirt. While I'm running here and there I always have my little treasure bag with me. What's in my treasure bag you ask? Scraps of fabric, paper hexies and needle and thread of course. Weather I'm watching a baseball game or sitting at a guild meeting.....doing anything where my hands are free....I stitch hexies. I have hundreds and hundreds of hexies. These are some of my favorite here....aren't they so fun? These are all smaller than a quarter. People ask me what are you doing and when I tell them they can't believe it. Mary Jane taught me English Paper Piecing and this was the size I made in my first lesson. So what do you think I've continued to do? Yep...I make them all the same size...LOL. It never occurred to me to make them larger.....I'm funny that way....go ahead...you can laugh too. Do ya'all know how to do English Paper Piecing? I always assume everyone knows how so I have never entertained the idea of a tutorial because I thought it was common knowledge until some of the gals at guild asked me to show them what I was doing. If you want me to do a little tutorial....just let me know in the comments below. If you are still reading...THANKS for walking along with me in the last couple of days!!! It is summer vacation for the co-workers and with that brings their first camp this summer: Lego Robotics Camp at their school. Lego has some mind blowing educational programs available that I did not even know about. The kids build from kits and the things they build can be given movement and sounds using a computer. Doesn't that just look like an absolute ball? I learned you can build a robot that can tell what color the blocks are so it can sort them back into their bins. I'm all for that. I just wish someone would build one that puts dishes in the dishwasher, flushes toilets and picks up clothes and toys off the floor! Where's the Mayhem you ask? Let me start by saying I stopped at an Estate Sale late Saturday afternoon and everything was 1/2 off. I saw a desk and thought it might be nice to have that desk downstairs for my sewing machine than the large table I have it on now. The 15.00 desk has cost me hundreds of dollars of labor (my own labor and I set the fee...LOL) just to re-organize the space. These are unedited pix....I'm warning you...if you get queezy by seeing a real mess...ya better look away now. Who knew these Flamingos would be so famous? LOL This photo is a bit dark because it was after 8 last evening when I snapped this shot. Do you think I should get these folks address and all of us could send letters to the Flamingos? It might be funny. Saturday morning was my Machine Embroidery Guild Meeting. Show and tell is always fun. This is Annie's Wild Flowers Quilt. The first time I attended a Machine Embroidery Guild Workshop several members were working their Wildflower blocks. I remember seeing all the beautiful batik fabrics Annie had and the beautiful blocks. I was tickled pink to see Annie's quilt almost finished on Saturday. Isn't it just beautiful? I need a ME fix. I was using a friends Babylock Embroidery Machine .....oh talk about a wonderful Embroidery Machine. After returning it....and I only returned it because it was far more difficult to have my house moved to an undisclosed location....now I'm in the market for a used Babylock. I have been watching Craigs List, E-Bay and some of the Yahoo groups. There are a few I'm checking into further....but I thought I'd let all of my friends know just in case you all know someone. Buying from a friend, or a friend of a friend, would be my preferance. If I don't get my fix soon....I don't know what will happen. I've heard things could get really ugly....the first signs of Machine Embroidery withdrawal are painful blisters...don't believe me? See for yourself.....and those ugly things popped up after only 2 weeks without an Embroidery Machine. 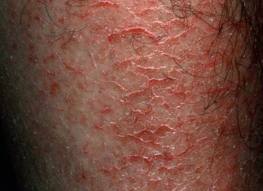 Then the skin begins to dry and peel.....and that is before.....OH NO.....This is getting really bad now!!! Can you even begin to imagine? 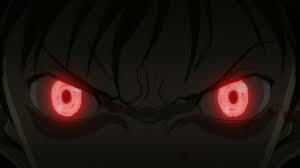 I'm so scared this will happen to me if I don't find a good used machine soon....please help me avoid the evil eyes. I got caught up in a whirlwind yesterday and it wasn't the whirlwind quilt block either. But I have to say it was fun and joyful. After assisting with the 3rd grade beach party/ breakfast yesterday, I ran home long enough to get my orders into the mail....then back to school. Some of these activities and games I had not seen before....the kids were having a blast. This is when a Mommy's heart breaks....Zach was just too hot and he said his tummy hurt so he sought refuge in the shade. We went indoors for a bit and that seemed to help. As you can guess the whirlwind didn't end when they got off the bus....so now I'll tell you that indeed I did the Random Number Generator.